; and a secret Utopian community of social outcasts living in a subterranean sanctuary. Through an empathic bond, Vincent senses Catherine's emotions, and becomes her guardian. The series follows the developing relationship between the characters and the division between New York and the hidden world beneath it. 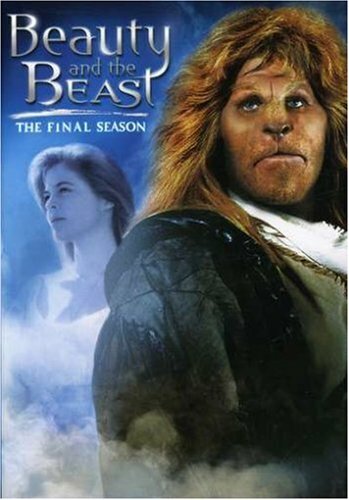 In a twist from the original tale, however, this "beast" does not transform into society's idea of beauty after gaining the love of Catherine. Rather, Vincent's inner beauty is allowed to remain the focus of who he is, and it is Catherine's life which transforms from her relationship to Vincent. Vincent's makeup was devised by veteran Hollywood makeup artist Rick Baker. became the new female lead, playing Diana Bennet, a police woman investigating Catherine's murder. 's office as an Assistant District attorney. During the course of the first season, the production team fashioned a blend of romance and crime drama which used both Catherine's position as an ADA and her will to help Vincent and his world to place her in moments of physical danger which would bring the idealized romantic figure of Vincent to the surface world as her guardian angel. During its second season, the series shifted its focus slightly to add more character development, as the central characters spent considerable time exploring their relationship and with the inhabitants of the Tunnel World, where Catherine had now finally been accepted as a friend and "Helper" (someone who assists the Tunnel community with what they need to survive and by keeping their secret). More people from the world Above turned up for emotional support and healing in the World Below's welcomingly secure environment. ). In a cliff hanger final episode, Catherine is seen walking down a tunnel into a chamber, where Vincent is suffering from a violent madness. ), a criminal profiler with the police department, to track down Catherine's killer. Quite naturally, her investigation ultimately led her to the now darkly obsessed and grieving Vincent. Although still popular with its dedicated fans, the darker, more resolutely violent aspects of the reworked concept, coupled with the fatal loss of the all-important central relationship between Catherine and Vincent, led to further declining ratings and cancellation.
) - a corporate attorney in her father's law firm who, after being abducted, beat and her face slashed then rescued and tended to by Vincent, changes her life completely and becomes an investigator for the Manhattan District Attorney's Office.
) - a Deputy District Attorney for the Borough of Manhattan, and Catherine's immediate superior in the office. Jenny Aronson (Terri Hanauer) - Friend of Catherine's.
) - A self-made millionaire and New York building developer, who is in love with Catherine.
) (Seasons 1 and 2) - Catherine's father.
) (Season 1) - Works in the computer division of the DA's office. , which investigates unusual cases beyond the scope of the normal police, called to investigate Catherine's murder. and the biggest drug trafficker on the East Coast, responsible for Catherine's death and the kidnapping of her baby. (fanged teeth, a flattened nose and a cleft upper lip) and fingers tipped with claw-like nails. He wears a cloak and hood to hide his appearance from strangers while walking the city streets at night. His parentage is unknown: He was found as a baby near Saint Vincent's Hospital and brought to Father by Anna, wife of Paracelsus. ed, fired from his job and having his license to practice medicine stripped from him. He found sanctuary in an early Tunnel community, and became its leader.
) - A child-like young tunnel dweller (possibly autistic) with the mind of a genius.
) - The Tunnels' midwife.
) - The shy and gentle "pipe master", supervisor of the tunnels' communication system. Winslow (James Avery) - One very influential member of the underground community, a blacksmith by trade. , the name Pater eventually takes for himself (after the 15th-century alchemist). He is a recurring antagonist in the series. also published two graphic novels based on the series.
) 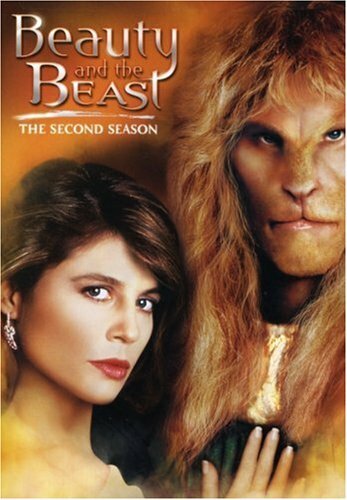 has released all three seasons of Beauty and the Beast on DVD in Region 1. 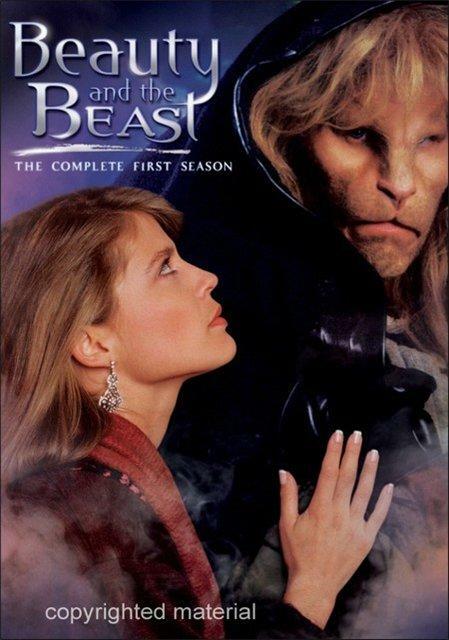 They also released Beauty and the Beast: The Complete Series, a 16-disc boxset featuring all 56 episodes of the series. has released the entire series on DVD in Region 4.
inspired by the show, and hold various fan conventions around the world.